iStock High suicide rates among veterinarians are attributed to financial, emotional, physical and mental job strains. On a brisk fall evening in Elizabeth City, North Carolina, Robin Stamey sat in her bed and prepared to take her own life. To her side lay a stack of goodbye letters Stamey had written to her loved ones. Gripping a catheter loaded with a deadly dose of Beuthanasia-D and Telazol – euthanizing agents the 46-year-old veterinarian had brought home from her nearby practice – she exhaled slowly and began to bid the world goodbye. But as she turned to look at Gracie, her apricot toy poodle, Stamey started to sob. She couldn't do it. The path to rock bottom was an unexpected one for Stamey. A chipper animal lover who went back to school at age 36 to pursue her lifelong dream of becoming a veterinarian, she had worked in a few small clinics before opening her own. Pulling this off wasn't easy; Stamey graduated from veterinary school with more than $180,000 in student debt. Her first vet jobs paid about $40,000 a year, forcing her to work long hours to scrape together enough money to get by. These financial troubles were compounded by the strains of the job, which is known for taking immense emotional, physical and mental tolls on its professionals. But like many people who work in medicine, Stamey had always thought of herself as a caretaker and was afraid to ask for help. Instead, she swallowed her frustrations and soldiered on, ignoring the creeping depression that began to cast a shadow over her life and her work. In 2007, everything fell apart. Burnt out from a near-decade of grueling work, Stamey was struck by crippling fatigue and painful internal swelling that doctors couldn't explain. This mystery ailment – diagnosed years later as Bartonellosis, or cat-scratch fever – stripped Stamey of the vigor that had once defined her, leaving her barely enough energy to crawl across her floor to feed her pet dogs, let alone run her practice. Rumors that she was addicted to drugs and alcohol, fed by small-town gossip and social media exchanges between angry clients, spread through the community. Eventually, even friends turned on her. Stamey said she felt isolated in her pain at the time, but she has since learned a startling truth: Veterinarians are in the midst of a suicide epidemic of massive proportions. 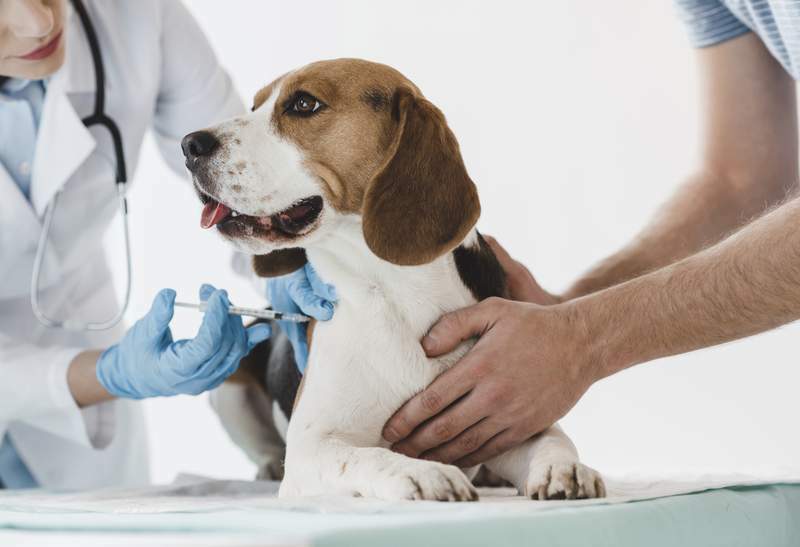 On Jan. 1, the U.S. Centers for Disease Control and Prevention released the first study to ever examine veterinarian mortality rates in America. The results were grim: Between 1979 and 2015, male and female veterinarians committed suicide between 2 to 3.5 times more often than the national average, respectively. These findings not only reflect a higher suicide rate among all veterinarians but also suggest that women in the field are more likely to take their own lives, which starkly contrasts with trends in the general population. Considering that the profession is becoming increasingly female-dominated (more than 60 percent of U.S. veterinarians and 80 percent of veterinary students are now female), the study's authors suggested this trend could foreshadow even more veterinarian suicides in the years to come. Additional research, including a 2015 CDC study that found 1 in 6 veterinarians have considered suicide, have shaken the veterinary world to its core. Stamey is among those who are standing up and sharing their stories, refusing to brush the problem aside. To grasp the extent of their desperation, one must understand what it's like to be a veterinarian today. One of the most competitive medical fields – veterinary school acceptance rates are comparable with medical school acceptance rates, but prospective vets are often asked to complete more prerequisite undergraduate courses – it's a profession that attracts intelligent, driven people who, above all else, want to help and treat animals. As obvious as it is, that latter component is critical: People don't become veterinarians for prestige, power or high pay. But diving into passion-driven professions leaves the door open for compassion fatigue and burnout, and the veterinary field is riddled with mental health hazards. Unsurprisingly, two of the largest factors at play are money and death. Veterinarian school is costly. Recent studies conducted by the American Veterinary Medical Association, the industry's largest nonprofit advocacy entity, show that the average veterinary student now graduates with $143,000 or more in debt; about 1 in 5 leave school with more than $200,000 to pay off. Veterinary salaries, which start at about $67,000 a year, aren't keeping pace with rising tuition rates. “Tuitions are going up, salaries are staying stagnant and the debt just compounds by the second. I've got friends who have graduated with anywhere from $100,000 to over $500,000 of debt,” said Lynn Green-Ivey, a San Antonio veterinarian who graduated from the Texas A&M College of Veterinary Medicine & Biomedical Science. The impact of these financial handicaps hits veterinarians far beyond their wallets. Pressed to pay off their debt while attempting to save money to buy homes, start families or run their own practices, many vets find themselves routinely working well over 50 hours a week. They're even forced to pick up second jobs in some cases, taking on overnight shifts at emergency clinics or helping out at rescue shelters. “More often than not, you've got to work and work and work without a bathroom break and scarf your lunch down in three minutes or less just to keep up with the daily responsibilities,” Green-Ivey said. “The pressure to do more and to do better for your clients is constant and never-ending. “We're determined, passionate people who are used to putting our clients and our animals before ourselves. But these traits, which make us good doctors, are the same things that make us more susceptible to depression, anxiety and letting negative emotions chip away at us,” Green-Ivey said. Another key driver of this suicide crisis: Veterinarians are consistently asked to act as animal undertakers. Euthanizing their clients can cause what a recent study referred to as ethical conflict and moral distress, which arises when vets are forced to put aside their expert opinions and accept pet owners' decisions about whether and when to put their animals down. More so, this proximity to death makes dying seem like a reasonable way to ease suffering.